This is the craziest video of 5 years of Graffiti outside of Serge Gainsbourg's house. from Arnaud Jourdain on Vimeo. Watch on fullscreen to get the full effect. 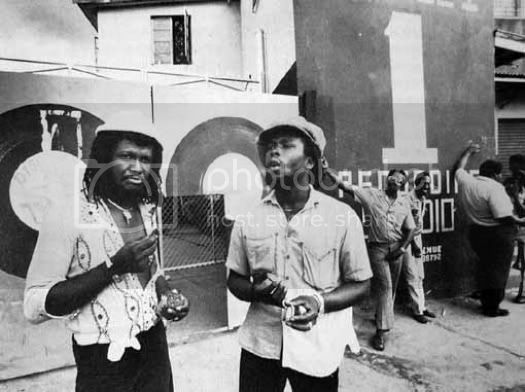 Also I realized since last time, that this recording features not only Rhythym masters Sly Dunbar and Robbie Shakespeare (below), but EDAS Favorite, Marica Griffiths as part of the backup singers, the I-Threes.